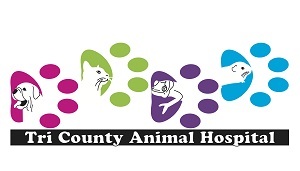 Recently Tri-County Animal Hospital made the decision to formally announce that we are a declaw-free hospital! We are flattered that we were recognized by City the Kitty's CATurday Heroes segment. Below is Dr. Funk's letter to City the Kitty, discussing the recent decision. I’m a veterinarian in Alliance, Ohio and I used to declaw cats. I was convinced it was better than the cats being turned over to a shelter. That is what we are taught in school. Then I researched, talked to my techs, and changed my ways. I’m proud to say I no longer declaw. It really feels like a weight has been lifted from my shoulders. If you think about it, it directly conflicts with our oath to do no harm. Of course, it’s always easier to do what the client wants and that is part of practicing. We make recommendations based on the pet’s needs and decide with the owner how to proceed. Declawing is not something that NEEDS to be done, and let’s face it, it’s harmful! It is cutting off the tips of their toes! Sure, we give them a lot of pain meds, but it has to still hurt. A lot. Don’t even get me started on the bandages. Cats hate them. It got to the point where it seemed like no matter how I placed the pressure bandages, they always flung them off and made their kennel look like a murder scene. The complications from the procedure are numerous. Most commonly, chronic limping, increases in biting, and litter box aversion. As it turns out, that last one is now the most common reason that cats get turned over to a shelter. Their toes can remain sensitive for the rest of their lives, making using a litter box painful. So, we now focus on education. One of my technicians made an awesome handout about why declawing is bad and we also started offering Soft Paw applications. We also teach our clients how to trim their cat’s nails and train them to use their nails appropriately. I don’t do ear cropping or tail docking, so why do this? This procedure is illegal in all of Europe, so why do we still do it? I know it’s not the “popular decision” here, but I got into this profession to be an advocate for animals. It’s our job to speak for them since they can’t speak for themselves. Yes, we want to make the clients happy too, but the pets should always come first.